bhAvAtItam triguNarahitam sadgurum tam namaami ..
this verse is from guru gItA. it extols the 'sadguru', the true guru, with the qualities of divine itself. the life transforming effect a guru can have on disciples is well known, whether the guru is good or bad. but, lucky are those who have a true guru. in this age it is very difficult to find really selfless gurus. the praises in scriptures about gurus, applies to only real gurus. today, people name themselves as 'guru', doesn't mean they have the qualities of a real guru. it is by the deeds, and qualities that a person gets a title of 'guru', not the other way around! a true guru will never ask you to focus on him/her, but will reflect your attention from himself towards the divine. - indicator (shower) of great truths like 'Thou Are That"
= one who indicates (explains, shows) (great truths like) 'Thou Are That" etc. "How can a guru be त्रिगुणरहितं. I believe that as per Gita, any person will be a mix of sattvam, tamas & rajas. Probably a Guru will be an epitome of Sattva Gunam.. ideally Guru should be 'eka gunavaan' i.e. Sattva Gunavaan..
Or there is another meaning below this literal translation, which I am missing." we need to understand metaphors as well. here, in guru gItA, when the importance of guru is being told, the disciple who is ready to take on a guru, is told to have steadfast faith in guru. hence, the guru's attributes are taken to superlative, to give the extra dimension to the faithful. the same happens to stories of rAma or kRiShNa or viShNu or any such stories. they are created to move the bhakta with devotion, the GYaani with wisdom. if you are not a bhakti-yogI, you don't have to feel bad or analyze the mantras, for they are for those who believe. e.g. in various purANas, sometimes viShNu is praised as greatest, sometimes shiva, sometimes devI is said to be the cause of everything. what is going on? well, you like you baby, and you hear suradAsa's poetry of bAla-gopAla, and you start seeing kRiShNa in your tiny tot. and you are thrilled beyond words when your 2 years old brings your shoes to you when you are going out to office in the morning. you think you are the luckiest dad in the world (or mom as the case may be). what does it mean for your neighbor? is his/her kid any less? are they unlucky parents? no, WE make the guru, god, child, kRiShNa/rAma/shiva/durgA greatest as per our own chosen preference. and it is OK!! that is the best part of hinduism or the thought system of india. it is the bhAva that matters. some guru-parAyaNa people will jump at this 'blasphemy' and use the amogha-astra - "but guru is brahmA, viShNu, mahesh, as per the shloka gururbrahmA, gururviShNu ..."
hello, guru is being equated to brahmA, viShNu, mahesha. you always equate the lesser to the higher, when using simile/metaphors. which means the guru is less than god, else the shloka would have been 'brahmA is guru, viShNu is guru, even shiva is as great as guru..."
The actual meaning of Guru or Sad Guru which we understand from Gurugita or Bhagawat Geeta is not the same. the disciple should be in pure bhakti yoga and have the inner eye. If we say the Guru is equated to Brahma, Vishnu or Mahesh is wrong. Guru itself becomes the same and have these three quality Sattwa, Raja and Tama but when initiating a disciple Guru become Sattwa quality. We must be knowing the principle of Nirguna Brahma to Creation (the Guru) and than Saguna Brahma. So Sattwa quality has the power of creation. When disciple is created to realize it, has to realize the Guru itself is Brahma. 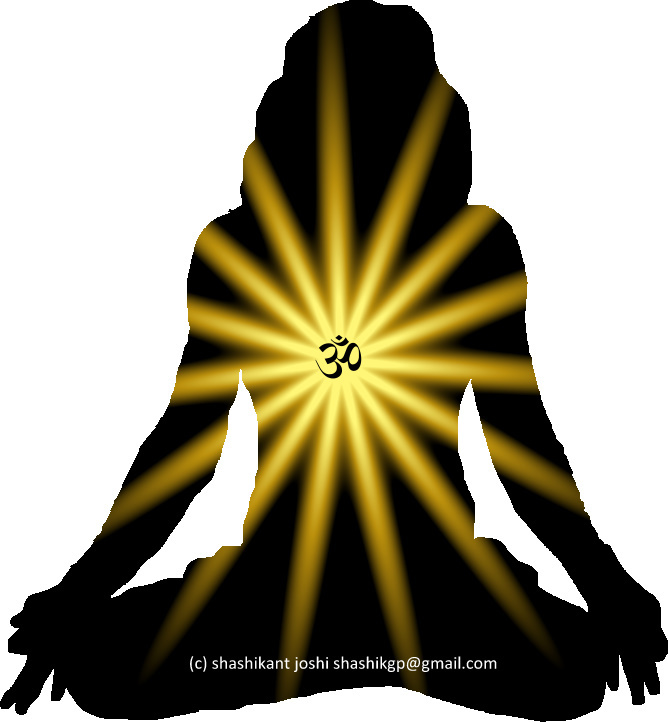 The one who is above or devoid of gunas makes him balanced yogi. The word yoga means balance. Balanced and beyond attributes makes Guru non judgemental. Sadguru is no other than GOD himself. "GU" means darkness/ignorance "RU" means the one removes. So Guru means the dispeller of darkness or ignorance.